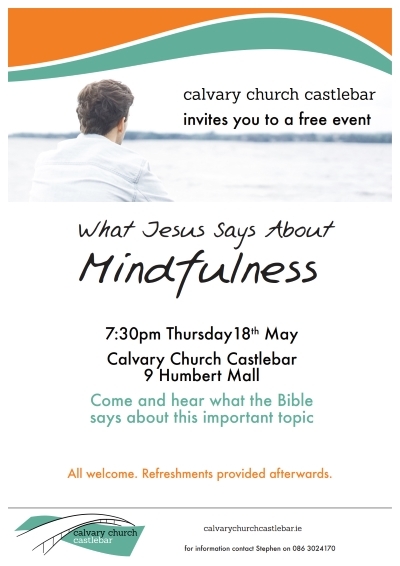 Calvary Church Castlebar invites you to a free talk: "What Jesus says about mindfulness". We live in a stressful world and many people are turning to mindfulness for peace. Come along and find out what the Bible says about this important topic. Followed by refreshments.